Looking to put a mass air meter on your 1986-88 Mustang 5.0L? 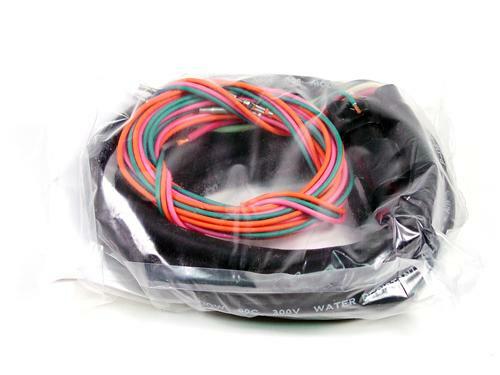 We have you covered with this mass air wiring harness! 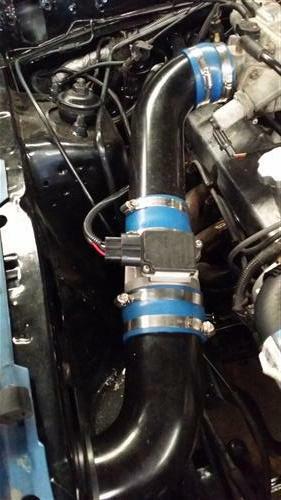 Easily convert your 1986-1988 Mustang to mass air with this mass air conversion kit from Pro-M! This kit was developed to allow the use of a mass air meter on cars that were originally equipped with a speed density air intake setup. Pro-M includes all needed wiring, looming and factory style connectors for a professional looking installation. Easy to follow installation instructions make this conversion quick and easy! -Requires use of a mass air PCM. -Some wire splicing is required. 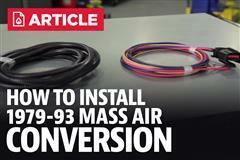 In this video, JMAC breaks down Pro-M's Mass Air Conversion Harness for your 86-88 5.0L Fox Body! If you've been around the Fox Mustang community, you have likely heard of a mass air conversion. The necessity of this swap comes in when you decide to change camshafts, increase displacement, changing injector size, or otherwise modify the car in a way the manifold vacuum will be altered. This mass air meter conversion wiring harness was developed to allow the use of a mass air meter on cars that were originally equipped with a speed density air intake setup. It comes complete with wiring, looming and easy to follow installation instructions.